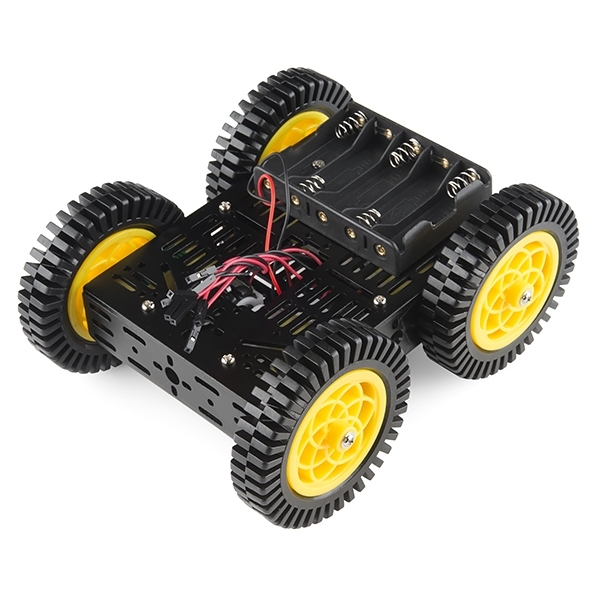 This is the Multi-Chassis ATV 4WD Kit, an easy to assemble and use robot chassis platform. 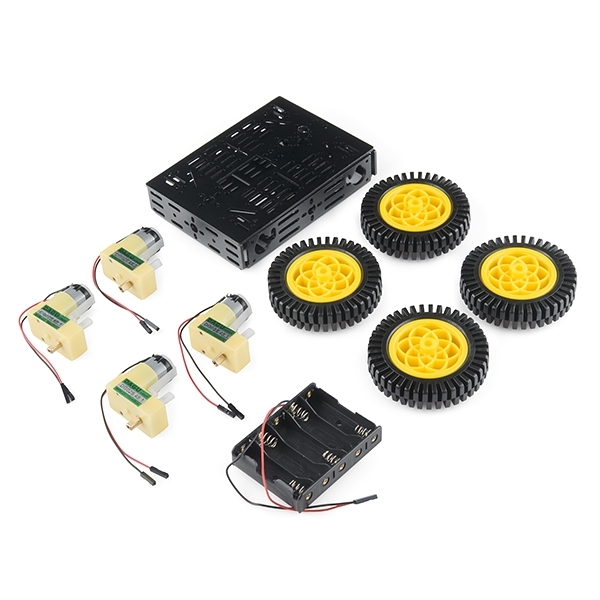 The Multi-Chassis kit provides you with everything you need to give your robot a rugged four wheel drive platform with plenty of room for expansion to add various sensors and controllers. All you need to do is supply is a basic motor driver and power and you'll be ready to drive! This Multi-Chassis Basic 4WD Kit includes four 48:1 DC gearboxes that independently drive each of the 78mm high-profile wheels. The larger wheels give you clearance for driving through more difficult terrain like grass or sand. The gearboxes have a metal output shaft for more durability. Each side of the 2.5mm thick aluminum frame comes cut with plenty of attachment points to add a multitude of different robot controllers, drivers, and sensors.